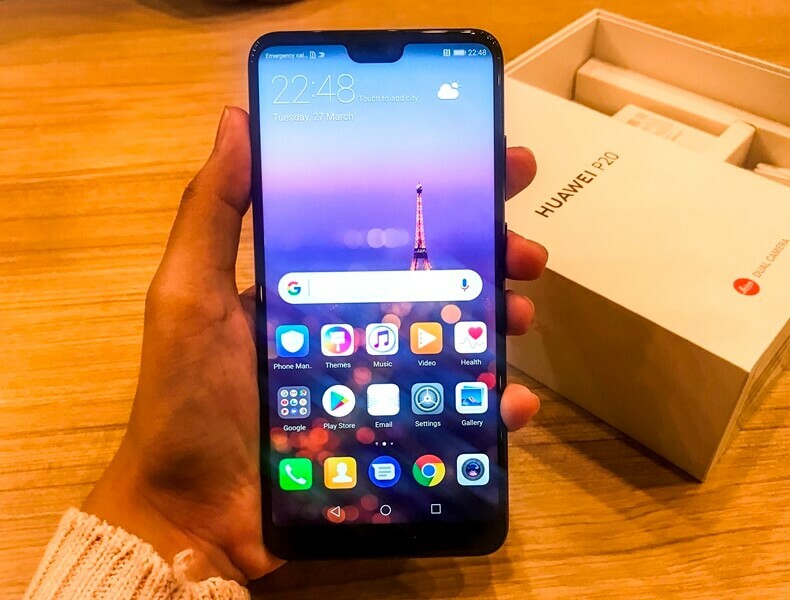 Huawei has officially launched its latest flagship smartphone – the Huawei P20 – at Grand Palais in Paris. The P20 flaunts a 5.8-inch FHD FullView display that offers 2244 x 1080 resolution, translating to 428 pixels per inch. It has 770 nits of brightness, as well, for an elevated viewing experience. Having a minimal notch design, the brand claimed that it can accommodate more notifications than other notch-equipped smartphones. Under the hood, it packs A.I-enabled Kirin 970 octa-core processor clocked at 2.36GHz, and Mali-G72 MP12 graphics. The device is coupled with a big 4GB of RAM and 128GB of internal storage, too, and is powered by 3400mAh battery. Moreover, the handset is now geared with new dual Leica cameras. With this, it sports 20-megapixel monochrome sensor + 12-megapixel 1.55um dual camera setup. Set to upgrade mobile photography, it now supports 4D predictive focus, 4K video recording, and a 960 fps super slow motion video recording. It has Ultra Snapshot mode, too, which allows users to capture an image in just 0.3 seconds. Also, it features Huawei AIS that enables the device to take long exposure shots for up to 6 seconds even without a tripod. On the other hand, it boasts 24-megapixel front shooter with A.I beautification and 3D portrait lighting. The P20 comes in midnight blue, graphite black, pink gold, and twilight color variants. It is tagged at EUR 649, or roughly Php42K. See Also: Huawei Nova 2 Lite Review; Sub-10K Giant?